Joyce Glasser reviews Unknown (March 4, 2011), cert 12A, 113 min. 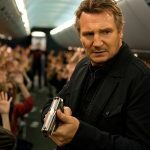 As a leading man with rugged good looks, a solid build and an air of integrity, Liam Neeson, at 58, has another few years to occupy the niche long held by 68-year-old Harrison Ford. As if to underscore this point, Neeson’s latest role as Dr Martin Harris in the thriller, Unknown , based on the 2003 French novel, Out of My Head , has more than a little in common with Ford’s Dr Richard Walker in Roman Polanski’s 1988 film, Frantic. First, there’s the plot: both films open with doctors travelling to a foreign city with their wives for a medical conference. 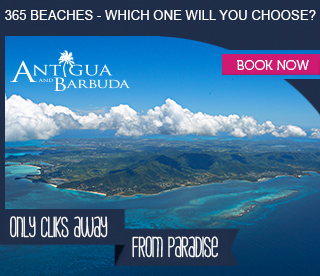 Both kick off with a suitcase being left at the airport (in Frantic, the wrong one is picked up) and both doctors pair with beautiful young local girls – who may or may not be trustworthy – when their wives – in two intriguing plot devices – are out of the picture. In Unknown , the conference is held in Berlin, not Paris, but in each, the city is used to stage chase scenes and political intrigue as both doctors become Hitchcockian men on the run from the authorities and dark criminal forces. Despite Neeson’s charismatic performance as Dr Martin Harris, as you watch Unknown ’s dizzying plot unfold, you’ll be reminded of other bewildered or bemused and frustrated A list protagonists as well. These might include James Stewart’s as yet another doctor, Dr Ben McKenna, in Hitchcock’s in The Man who Knew Too Much; or Matt Damon’s Jason Bourne, a psychogenic amnesiac trying to discover his identity in The Bourne Identity. You might also spare a thought for Ralph Fiennes’ Justin Quayle in The Constant Gardener when it becomes clear that agribusiness has a lot to answer for. These screen heroes and anti-heroes have something in common. Like cinema itself, they are either not who they claim to be, or they stumble into a deadly intrigue in which other people are not who they seem to be. Motives are also unclear. Dr Harris, like advertising executive Roger O. Thornhill in Hitchcock’s North by Northwest is plagued by a near fatal crisis of mistaken identity that drives the plot as both unlikely heroes tackle deadly forces to reclaim their identities. As the popularity of the overrated film Inception proved, cinema is the perfect vehicle for getting into a character’s head and playing around with different realities. The idea is to confuse the viewer just enough so that like the protagonist, the viewer, too, begins to wonder who can be trusted. Spanish born, American- based Jaume Collet-Serra did this very well in The Orphan, and here, he piles on the doubts and games with a much faster pace and slick editing. The result is an entertaining, fast-paced thriller where, lurking in the background, is a nefarious alliance between scientific research and big business. The film is let down by the script’s over reliance on the convenience of selective amnesia. Whether it’s the Fugitive on one end of the spectrum or the Bourne series on the other, the level and degree of amnesia has to be consistent and can’t be altered to plug plot holes. 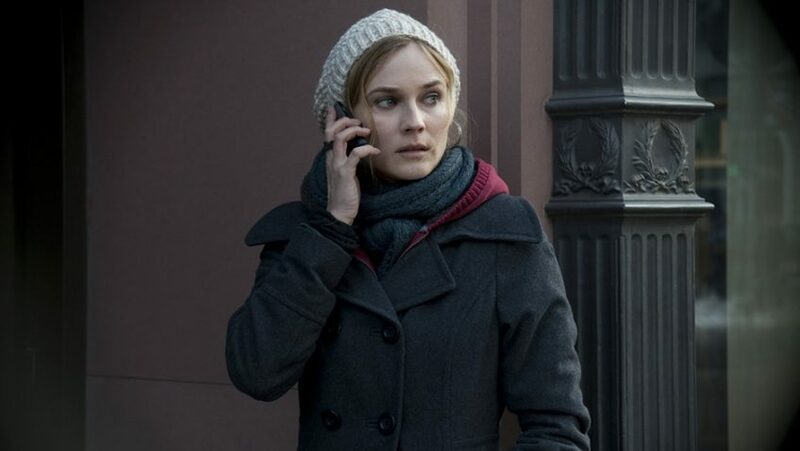 Whether it was the decision of the producers, the director or the writers, Olivier Butcher and Stephen Cornwell, it’s also strange to cast the beautiful bilingual German actress Diane Kruger as an illegal immigrant in Germany and give her almost no German lines. Why couldn’t she be a German? And wouldn’t it be more authentic and add to Harris’ sense of displacement to hear more German spoken? These faults could be dismissed more easily were it not for the film’s fatal flaw of being so familiar that you feel you’ve been short-changed. 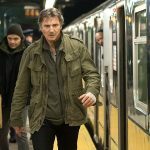 Against that caveat, there’s no denying Neeson’s strong performance as an honourable, ordinary man’s heroic determination to regain his identity, but confounded wherever he turns. The supporting cast, if underused, is also impressive and includes January Jones as Mrs Harris, Aidan Quinn as Martin ‘B’, Fran Langella and Sebastian Koch as professors with interesting sidelines and Bruno Ganz as a former Stasi operative. For a B-movie, Unknown is a good bet for an entertaining night out.